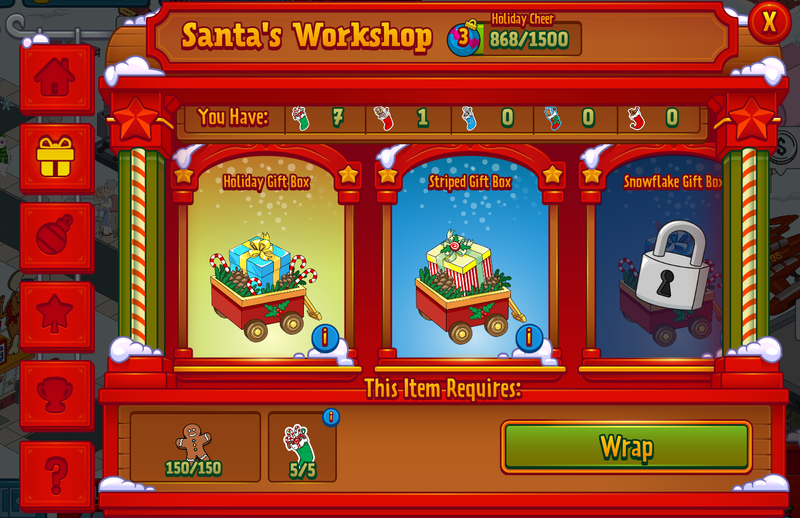 In order to get additional “Gifts” in our game, you will need to go to Santa’s Village to make toys. You don’t know just what exactly those crazy demented elves are going to make, but this should help you at least have an idea of what you will see in the newest offered Snowflake Gift Box. First off, how to get to this point. You first have to have reached Holiday Cheer Level 2 and Upgraded your Tree to the Second Tree Level, the Merry Christmas Tree. 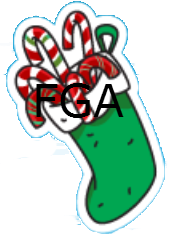 This stockings requires you to hit at least 500 Christmas Cookies, 4 Candy Cane Stockings, and 2 Snowflake Stockings to unlock the option to start wrapping gifts. Now as you continue to collect Christmas Cookies and Stockings you can go back to Santa’s Village to continue to make and get more gifts. HOW DO I GET INTO SANTA’S VILLAGE WORKSHOP? 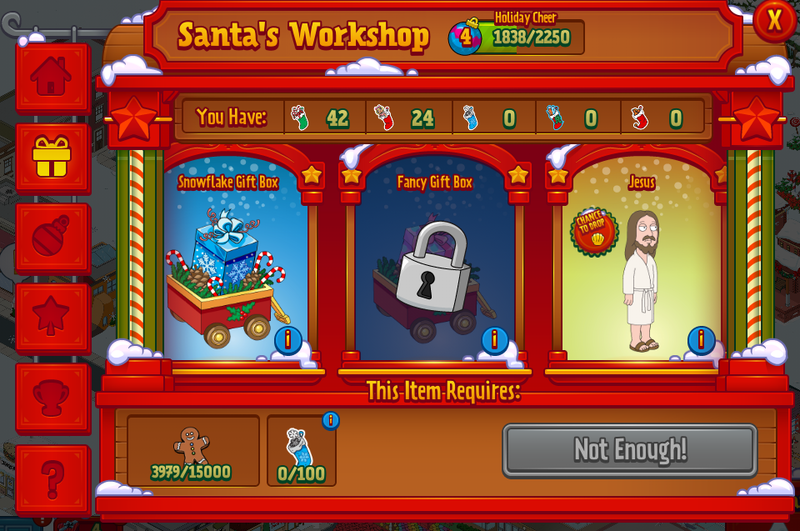 There are two ways of getting to Santa’s Village Workshop, the first is the shortcut icon on the main game screen. Just look in the lower right hand corner for the Holiday Cheer Icon that tells you what Cheer Level you are on. Tap on it. You will be taken to the Miracle On Spooner Street Holiday Event Area. Santa’s Workshop will be the 2nd icon down. The Gift Box. 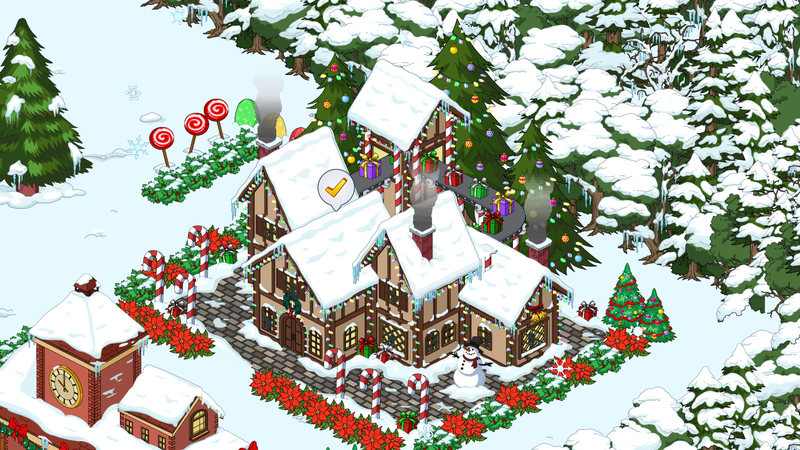 Another way is to just go over to the Event Area in your Quahog and tap on Santa’s Village. 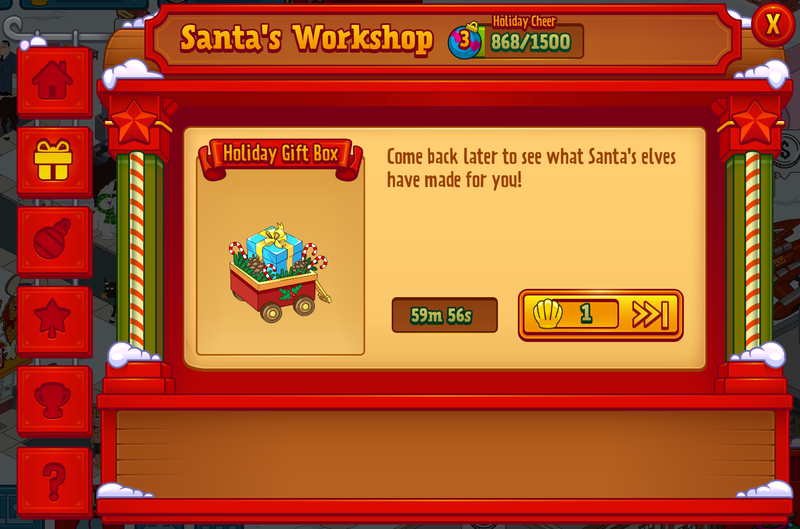 It will take you immediately to the Gift Box Creating Area known as Santa’s Workshop. WHAT GIFT BOXES ARE AVAILABLE? As you can see, there are two Gift Boxes inside currently. Snowflake and Fancy. Snowflake is part of Phase 2 so will be unlocked once you meet the requirements above. The Fancy Gift Box is for another Phase so will remained locked for now. You can also see Jesus is in there. More info on him in another post. HOW DO I MAKE A GIFT BOX? 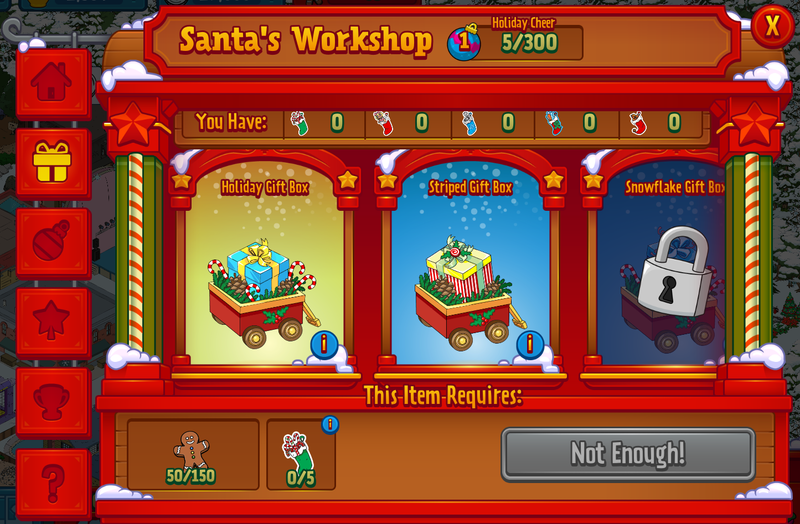 Just go to Santa’s Workshop to see if you have enough of each item required to Create the Gift Box. Just tap on the one you want and it will tell you. “Not Enough” or “Wrap”. If it says “Wrap” and that is the one you want, then tap it to start the process. It will take 1-2hrs to “Wrap” a Gift Box (depending on the Gift Box). You can only make one at a time. 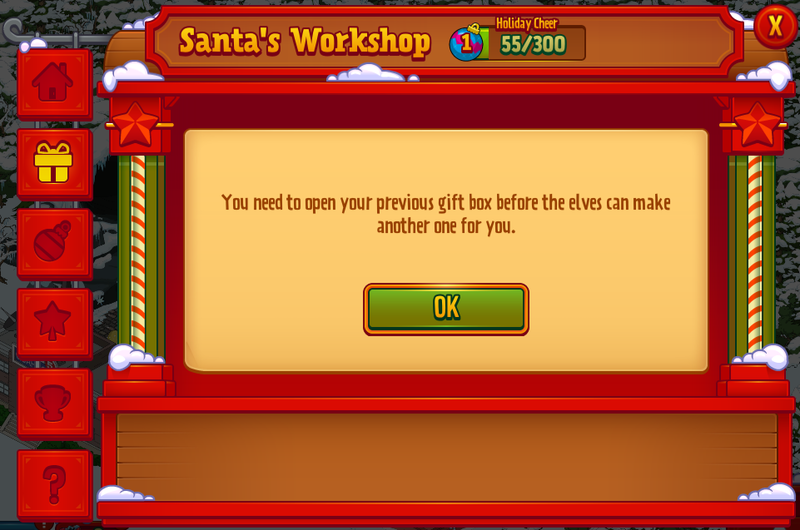 As soon as it is done, you will see a message in Santa’s Workshop to go open the finished gift. As well as a Check Mark over Santa’s Village in the Event Area. Either way, once you tap on the check mark to complete the gift wrapping, the Gift Box will appear right next to your tree in the Event Area. Now it is just a matter of tapping on the completed Gift Box in the Holiday Wagon to Open it and see what is inside. WHAT IS INSIDE THE GIFT BOXES? To get an idea of what is inside each Gift Box, I have broken them down. 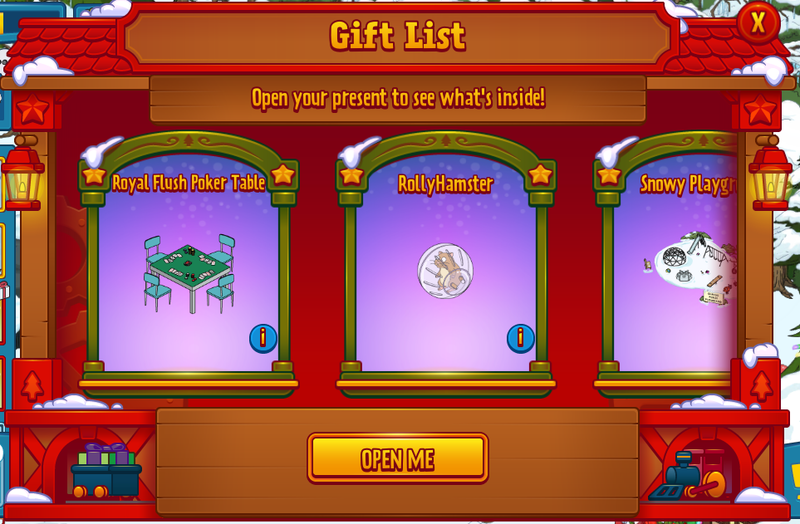 Again, only SOME of the items for Santa’s Wish List are in the Gift Boxes. No worries, it will run the entire event and more options to get MORE Gifts will come later. Just focus on the ones available now. HOW DO I SEE WHAT I HAVE LEFT TO GET? There is a little trick to see what YOU have left in the Gift Boxes. It is right around the time you complete the gift. 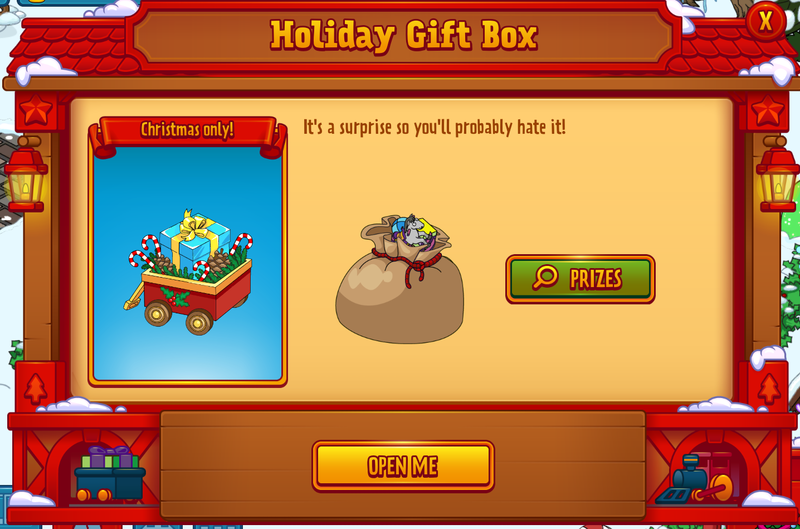 Just go find the Wrapped Gift Box in the Holiday Wagon by your Tree in the Event Area and tap it. You will see the pop up for the Gift Box. Instead of Tapping on “Open Me”, tap on the Green “PRIZES” option instead. It will pull up all the gifts you have remaining in that Gift Box to Wrap and get for your town. This way you will know what items you have left in each one. Again, you can only see this AFTER you Wrap a Gift Box. WHAT HAPPENS WHEN I GET ALL THE GIFTS? One of two things will happen. If you are down to just ONE Decoration/Building in the box, the Gift Box will disappear for wrapping as soon as the last item is won. 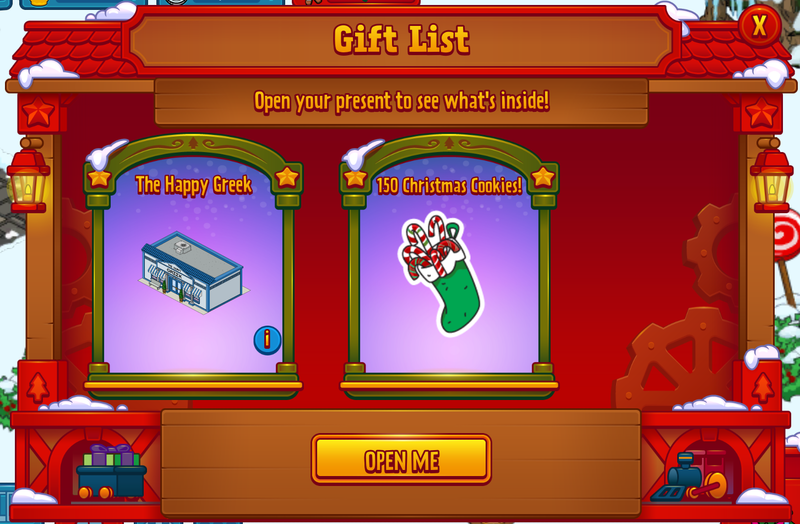 However, if you have two items left and one of those happens to be a Material like Christmas Cookies and you win the OTHER item…the Gift Box will still disappear. In other words, if all you have left is the Holiday Cookies the box considers itself complete of prizes and disappears. There you have it. The Newest Gift Box currently available. What do you think so far of the gifts? Have you cleared any Gift Boxes yet? Like the items inside? How many Santa’s Lists items have you crossed off? Let us know below. 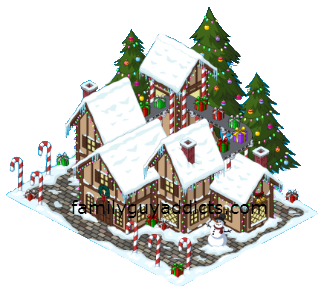 This entry was posted in Game Play, Tips and Tricks and tagged Family Guy Addicts The Quest For Stuff, Family Guy Tips and Tricks, Jesus, Miracle on Spooner Street, Quahog Christmas Event 2014, Santa's List items, Santa's Village Workshop, Snowflake Gift Box. Bookmark the permalink. My snowflake gift box has disappeared though I’ve 17+ hours til the next upgrade. I haven’t yet wrapped the Death Roe Caviar. Am I screwed? I’ll report it and send pics if this isn’t supposed to happen. Yes, I read the thing on the last gift in the box and the second-to-last… it just confuses me. +Moose and NetwiseIT… I didn’t even notice that Silver Clam Box was in the village until today. I did see it in the shopping list though. Yes report it. 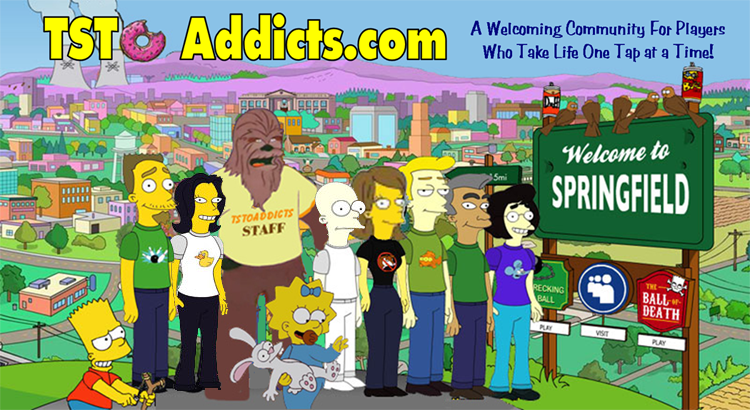 If it is no where to be found in your town or inventory. I know a patch is coming for the other two, so I assume it will help with this one too. Just please do message in and let them know. It always helps when a game having the issue is available for them to see into. They can isolate the issue better. Does anyone know how to unlock blue stockings please help! 1) What is the demented elf? I have one and it doesn’t do anything. 2) Is Ollie Land supposed to give a prize to our towns every now and then, because I have not received any. If you have neighbors linked to Facebook, no. If you do NOT have any neighbors, he randomly plops one in round each new tree level upgrade. You just never know when. Could be as soon as you update…could be almost to the end. I think I didn’t get Santa’s Throne, do you have a picture of it so I imow what it looks like? My guess is it’s either a Throne, Or a toilet seat, without pics to go with the descriptions I don’t know if I got it because I can’t find it anywhere in my town or inventory and I don’t remember getting somthing like it. Thanks for the pic, I found it, for some great reason i can’t comprehend at 4am I decided to stuff it into the far corner of my town behind the theater. The Death Roe Caviar has the Chance to drop the super menorah! Stil lacking one David Shield. but this might be helpful for some freemium Players. Dropped a whole Schwack of clams on the silver gifts and managed to get the Mansion and still paid less than if I’d purchased the 600 clam building. But OY, Bunny!! You’d have to be mashugana to pay the 350 clams to accelerate the payout! I am well above the 15000 cookie Mark to get Jesus, just waiting on the Menorrah Menche, the Schiksa and John to finish off the Yeti a few more times to get the snowflake requirement. If all goes well I should have that before the next update. Something tells me that the top hat and King are not going to be so easy. Hedging a bet that the snowmen are are all going to change into smaller minions to assist the Yeti … Just saying because we know as an event progresses there are usually new antagonists involved. Luckily the building had timed down a lil, but it was over 200 Clam hit. I’ve been lucky enough to have gotten to level 7 on my tree. I have Mort, Lois and John so the Yeti didn’t stand a chance. I am waiting for the update so I can the fancy box. I’m too addicted to this game. I only wish that the yeti was dependant on the tree to get the other hats. My snowflake gift locked itself out when I got Santas throne, but I don’t have all the buildings. I haven’t got Death Roe Caviar yet. Is there another way to get it ?? No way I’m going to buy this box before I have managed to get Jesus. He’s my top target at this point. All questlines and other goals are secondary. I hope he will have an animated outdoor task performing his hilarious magic finger tricks. Why is there always a ball ornament on top of the Christmas tree whenever I return to Quahog? At first I thought there was some message. When I click on it, I get the countdown on the tree upgrade. I always click on it, because I like the star, but it’s annoying. Give me a cookie or something. Don’t just tell me something I can find out elsewhere. It is the notification that has been there from start. It tells you what Holiday Cheer Level you need to be on in order to Upgrade to the next Tree Level when it hits. This might sound complain-y, but I swear it’s not. 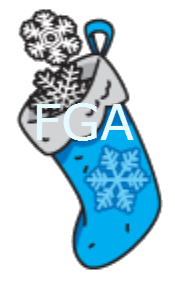 Just typing out some thoughts…Do you guys think there will be other ways to collect snowflake stockings in the coming weeks? Maybe snowmen can drop them, but slightly more infrequently than cookies and candy canes? I’m on the Childish Yeti, and he just isn’t easy to defeat for a freemium player. I’ve even set a timer on my phone to go off every 4 hours as Lois and Mort finish their tasks. I can’t imagine the two levels after that. I’d have no problem buying the Frosty Ice building, but I wouldn’t want to part with more than 150 clams for it. 200 seems steep. Same with John. There seems to ALWAYS be more ways and options added each event. All we can do is wait and see. Did not disappear on me. I have Royal Flush Poker Table, Rolly Hamster, Snowy Playground, Santa’s Throne and Death Roe Caviar. I was able to wrap another gift. Got 750 Christmas Cookies and still can wrap more. When this first started, I knew John McClane was going to be huge, even moreso than a predator which I did not get and did just fine. But t did get McClane and he has been huge. 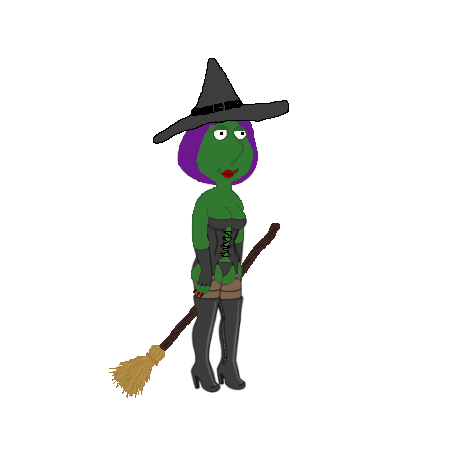 I have Morts skin already and have been beating up poor little ol Yeti mercifully. I’m just sitting now twiddling my thumbs and racking up snowflake and doll boxes. I actually may be able to get JC before the next upgrade. It will be close. Best 200 clams spent ever. Thanks for the tips and leads ladies. I can always tell by your descriptions just how valuable premium characters will be and if it is worth it to me. Much appreciated. I was able to speed up the wrapping for free when it was under 10 minutes to go, did anyone else notice this? Yes I did! I did the same thing. Not that big of a deal, but I’ll take it! Death Roe Caviar has a chance to drop the Super Menorah for Mort. Can help people getting it quicker to know that. Death Roe Caviar also dropped super manorahs for me! Thanks for the info! Just one little correction – the Snowflake Giftbox will take 2 hours to wrap, one hour longer than the first two. I have 5 Santa’s list items crossed off / won. Hoping they release 3 more items in the Fancy gift boxes on Thursday/Friday. 18 attack units for a childish yeti? When are we supposed to sleep? It isn’t possible without using clams. This event has been one if the worst. And for 10 snowflakes? Jeebus. Actually Snowflake boxes require 2hr wrap time (at least when I did it, it did). For some reason when creating a gift box, I received a silver gift box. The only thing with this is that I need 75 clams to be able to open it. As you can imagine – I don’t have that many clams. No where near it so what can I do (part from put my hand in my pocket). Will I lose it once the christmas event is over? Bit of a shame if I’ve put the time in to wrap a gift only never to find out what it contains? That isn’t the Snowflake box. That’s the Silver Clam Box. You have to follow the steps in this post to wrap a gift and it’s by the tree in a red wagon. Not by snowman by itself. Oh, it is there. I definitely only noticed it because of this post. That silver kind of just blends into the scenery.